Ever wondered what it’s like to design a cushion for Nike Air? Or work on the Mars space mission? Or create a children’s storybook about a pirate that can test if a child can see? You can find out at this year’s YiA Innovation Forum on 10th August at Classic Flyers from 7.00 to 9.30am. Get inspired by our legendary line up of speakers – who are also this year’s YiA judges. 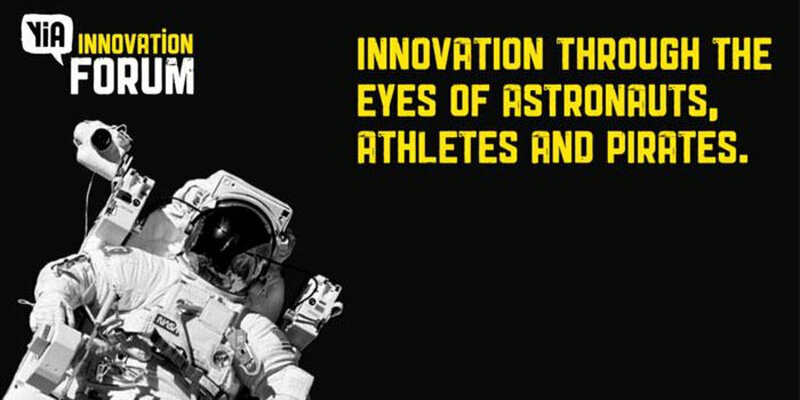 Our three judges will share their stories of how looking at the world in a different way across space, sport and advertising has lead to some ground breaking innovation. Our speakers include: Silicon Valley CEO, Sinead O’Sullivan; Wade Flannagan flying in from Nike HQ; and brand innovation guru, Catherine Harris. Sinead is an aerospace engineer with previous experience at NASA! She is the CEO of Fusion Space Technologies, where she leads a team of engineers who combine space technology with Artificial Intelligence. A female CEO of a tech-firm in male-dominated Silicon Valley, Sinead is a trail-blazer. Read our Q&A with Sinead. Born and raised in Tauranga, Wade, now works in the innovative kitchen at Nike. He started out by gaining a degree in mechanical engineering at the University of Canterbury before carrying on to complete a Masters of Engineering in Management. Over the years, Wade’s hard work and innovative mind took him to both America and Brazil before he fulfilled his childhood dream by working as an Innovation Developer at multi-billion-dollar sports company Nike. Read more about our local boy, Wade, here. Catherine is a brand innovation guru whose career has been defined by her award-winning work for iconic brands including Nissan, Sony and Cadbury. Her hard work has led to hundreds of awards. Her 'Penny the Pirate' Campaign for OPSM was the WARC most effective campaign in the world in 2016! This is a one-off chance – book your tickets now!